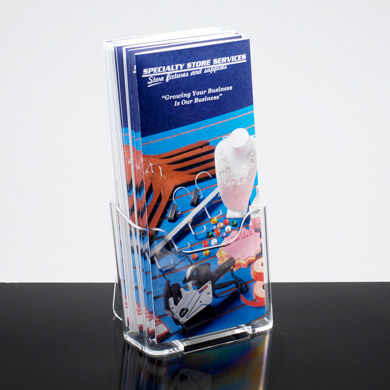 Brochure holder has extra deep pockets and is ideal for displaying materials on counters or shelves. Inside pocket width is 1 1/2 in. deep. Place on table or counter but also mounts on walls.